Before you read on, take a good look at the image of this artwork. Study the faces, follow the lines, feel the tension. Which emotions does the work evoke in you? Take a moment to let this sink in. I still vividly remember how I laboured as a 16 year old to translate the words of Vergil that tell about the priest Laocoön, who is being punished for urging the Trojans not to bring the wooden horse into their city. A terrifying tale. 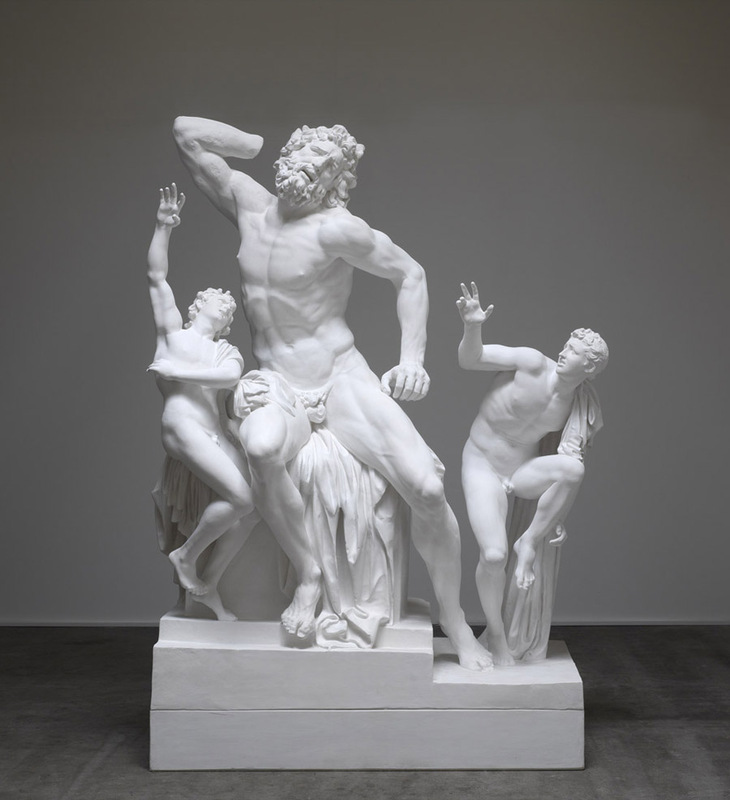 Also during my studies in archeology I have often been confronted with the Laocoön group, the late Hellenistic sculpture which is being referenced by Kris Martin’s artwork, and it always was one of my favorites. The suggested tension, the muscles, the lines, the fear on the faces, have all been aptly and magnificently rendered. All of these elements I encountered again in Kris Martin’s work Mandi VIII from 2006. But something was missing and yet I did not really miss it, on the contrary. 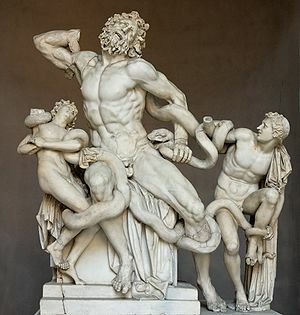 The snakes, which in the original work attack and strangle Laocoön and his two sons, are not present in this work. Yet the work keeps its power; it is still charged with mortal fear and agony. Perhaps even more so. This sculpture speaks of fear and vulnerability. However intelligent you are, however great your achievements, however strong you think yourself to be, however big your religiosity, you are fragile and any moment terror can take a hold of you. Perhaps you can take another look at this powerful work and take a moment to think about your own fears. Put them in the place in the sculpture where originally the snakes were. The story about Laocoön in Vergil’s Aeneid also mentions a man, a son of the gods, who is deaf to the pleas of his beloved. Christ, the Son of God, is not deaf to ours. More than that, he knows our fears, he has gone through them himself. And contrary to the son of the gods in the Aeneid this Son of God never leaves his loved ones. The title of the work, Mandi, refers to the Italian contraction of ‘mano’ (hand) and ‘dio’ (God) and means ‘in God’s hands’. We are no stranger to frightful situations, nor to the fears that they evoke. But we can entrust them to God and put them in his hands.